Kamal Singh is currently leading as the CEO and is the Executive Director of Global Compact Network India (GCNI). He holds Post Graduate Diploma in Personnel Management and is also an Alumnus of JNU. Prior to joining GCNI, he was the Director General at National HRD Network. Known for his significant contribution in rejuvenating financial health of NHRDN and also introducing several new initiatives, he strengthened value proposition to its membership more than before. Prior to the this, he was Director, AIMA- A National Apex body of Management Profession in the country. During his long stint as Director in AIMA, he was instrumental for launching many initiatives that brought laurels to AIMA in building its profile and equity with its stakeholders. 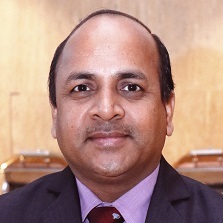 He is on the Board/Sub-Committees of several organizations/institutions including Association of Indian Management Schools (AIMS), Bureau of Indian Standards (BIS), JIMS, Indian Institute of Finance (IIF) , RKDF University, Bhopal, IILM University, Gurugram, BIMTECH, Greater Noida, Manav Rachna International University, Jaipuria Institute of Management (JIM), Jaipur and Independent Director on the board of Parsvnath Developers Ltd etc. including international NGOs such as Smile Train. Winner of several accolades and awards, he contributes beyond business towards building Social Capital Index of India and the world. Shabnam Siddiqui is an academic practitioner with twenty years of experience in gender, peace and governance work, of which twelve years have exclusively focused on governance, ethics and transparency initiatives and interventions. 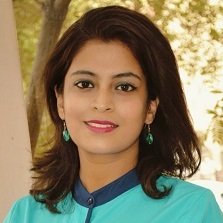 Shabnam specialises in developing and executing strategic intervention through multi-stakeholder network, is skilled at training and research and has several national and international publications to her credit. Shabnam excels at resource mobilisation, a key to putting any dynamic vision into action. Work station and academic learning has been primarily garnered in India, with short-term and long-term stints in Pakistan, Italy, France, United States and Singapore. Work station and academic learning has been primarily garnered in India, with short-term and long-term stints in Pakistan, Italy, France, United States and Singapore. Mr. Deep Chandra is a postgraduate in social work from DAVV Indore. He possess more than 11 years of professional experience in core development sector and in operation of integrated developments projects. He has worked with NGOs, educational institution and corporate engaged in social responsibility services at grass root level. He has worked with the underprivileged and street children, women & youth groups, strengthening youth empowerment and grass root level organizations. 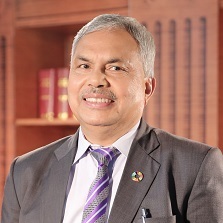 He has exposure on almost all major developmental issues such as school education, health, women empowerment and running livelihood centers, vocational training centers, and networking/ liaisoning with government/civil society organizations /corporations and emerging Corporate Social responsibility and sustainability trends. In addition to that in recent past he has focused on strategizing and implementing the outreach strategy for souring mentors and potential entrepreneurs, organizational skills, support in business development activities such as business skill development training, business seminars, exhibitions, get-togethers, marketing support for young entrepreneurs. Thorough Professional with Masters in Business Administration, Social Work and Sociology, having over 16 years of experience in Public Health and community development programmes. Working with Govt and many National and International Non-Govt Organizations, he has contributed in strengthening Public Health System and development of underprivileged sections in India. Besides managing and leading various development programmes, he has also conducted researches on Adolescents and migrants issues. He was awarded by many organizations for his initiatives, Commitment and outstanding work in development sector. He has been the part of national level consultation on strengthening the world of work and public private partnership, organized by ILO, and social protection for immune compromised population, organized by UNDP, WHO and NACO. 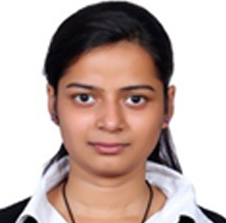 Tamanna Girdhar is a post graduate in Natural Resource Management from Guru Gobind Singh Indraprastha University. Prior to joining Global Compact she has worked with Delhi Pollution Control Committee, Japan International Cooperation Agency (JICA) and NGO BOX with an extensive research experience in Natural Resource Conservation and Monitoring, Climate Change Impact and Assessment, Sustainable Development, Corporate Social Responsibility and Environment Impact Assessment. She excels in building partnership with grassroots organizations/NGOs/Consultancies/Private Firms and engages with key business leaders and subject matter experts in development sector for assessment of growth opportunities in CSR. She also specializes in Water & Sanitation, Agriculture, Women Empowerment, Environmental Management System, Community Development, Joint Forestry Management, Rural Development and Sustainability Communications & Reporting. Currently at Global Compact she is working with the three UNGC principles i.e Human Rights, Labour and Environment and building the strategy for multi stakeholders in aligning 17 Sustainable Development Goals through organizing events, conferences and workshop, capacity building and training programmes and monitors best practices in sustainability reporting both at local and global network. 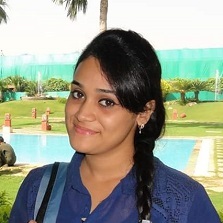 Ankita kumari is a post graduate in Development Communication from Jamia Millia Islamia University. Prior to joining Global Compact Network India she has worked with Aarohan where she was actively involved in advocacy and campaigning for child education and successfully ran campaigns such as Donate a note book, Gift a cycle, Cycle for parity, Stamp out stigma, coordinating projects like Asha which deal with enrolling children(dropout or never been to school) in mainstream education, SteP which provide skill education to youth, Umang which ensure skill development to women and education to adolescents girls, organizing training /workshops /awareness session /PRA sessions, Health camps/Mobilising community, promoting tribal art, planning communication strategies for different projects and ensuring organisation’s social presence online as well as offline. She has worked with the underprivileged and street children, women, youth & transgender. She has good leadership and teambuilding skills which helped her to work with volunteers from colleges; corporate etc for different projects. She has exposure on major developmental issues such as education, health, women empowerment and networking/ liaisoning with government/civil society organizations/corporates and emerging Corporate Social responsibility and sustainability trends. She has worked with Godrej Ezee for Rahat ek Abhiyaan campaign. 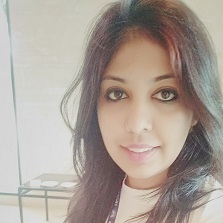 Bhumika Panwar is a post graduate in Human Resource Management from Amity University. 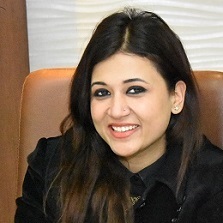 Prior to joining Global Compact she has worked with Global Rhymes & Reprographics with 5 years of experience in manpower recruitment's across Senior, Middle & Junior level positions for reputed organizations functioning in the domains of IT, ESRI, Pharmaceuticals, Insurance, Real Estate, Retail, Sales. She also excels in Human Resource Research, Executive search and administration. Through her work in various organizations, she has learned a great deal about capacity building, leadership and talent acquisition and team management. Currently at Global Compact Network India she is working in the fields of gender equality, sustainable development and social transformation. Arya Dev is a law graduate from Faculty of Law, University of Delhi. He possesses a legal experience of over 7 years and has appeared before the Hon’ble Supreme Court of India, the Delhi High Court and the Patna High Court. He has previously practiced as an Associate Advocate in the chambers of Late Mr. Hari Shankar (Advocate – on –record, Supreme Court of India) and as a Junior Counsel to Mr. Dhruba Mukherjee, Additional Advocate General in the Patna High Court. He has rendered his professional services mainly in cases relating to criminal, service and constitutional matters. Though having a considerable legal experience in areas of litigation and other juridical matters, his heart lies in legal research, policy advocacy and stakeholder strategizing. He is a strong advocate of a principled approach to sustainable and socially responsible corporate policies. United Nations Global Compact Network India provides an apt platform for his aspirations by catalysing corporate sustainable actions into UN Goals like Sustainable Development Goals (SDGs). Khusnuma Parween is a post graduate in Journalism & Mass Communication from Ravenshaw University. A Talented young professional having 8+ years of experience with skills and training in Journalism and Mass Communication in the development sector. Seasoned Journalist offering extensive experience in investigative reporting, editing and publishing. Committed to delivering factual, concise and elegantly written pieces that inform and engage a wide range of audiences. 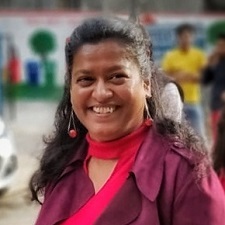 She has worked with MART, Rural & Marketing, Orissa Post (leading English Daily), Business Standard & British Council as aCommunication Officer& Writer / Editor position. She has worked in various part of India and covered exclusive stories from Odisha, Hyderabad, Gujrat, Assam, Bihar, Delhi. She has various published reports, white papers & documentation in business reporting, rural& urban development reporting etc. Her major chunk of social work contribution is on education, technology, water management, agriculture & livelihood. Highly self-motivated and goal-oriented person with an impressive hands-on knowledge base encompassing the entire spectrum of mass communication/Corporate Communication / Social Development and NGO work. Conducted strategic planning workshops to validate strategic objectives, conduct stakeholder management and perform critical business process analysis. Regarded by peers and mentors as an overall achiever who is committed to excellence. Technically-savvy without standing relationship building, training and presentation skills. Ms Sakshi Katyal is a Post-Graduate in Environmental Studies and Resource Management from TERI University, New Delhi. She has more than 2 years of experience in the development and consulting sector with expertise in the field of environment, sustainability and climate change. She is skilled in technical writing, reporting, documentation, primary and secondary research, knowledge management, communications, networking and liaising. Prior to joining Global Compact Network India, she has worked with Gorakhpur Environmental Action Group (GEAG), New Delhi wherein her role was instrumental in providing Research, Communication and Documentation support to the Research Team. She has 8 publications including training manuals, policy papers and research reports to her credit in the domain of climate change adaptation, disaster risk reduction, urban climate change resilience and urban-peri-urban agriculture and ecosystems. In the recent past, she has worked on a UNICEF-India commissioned project on building climate change and disaster resilience for urban children in Bhopal, Udaipur, Patna and Visakhapatnam. Apart from her educational and professional background, she has a strong passion to work for the environment and for the well-being of the underprivileged communities in urban and rural settings. She also has an inclination towards presenting the given information and data innovatively. She was associated with National Institute of Disaster Management (NIDM) as a Researcher. During the research period she had worked on Climate Resilience in Drinking Water Resources and Related Infrastructure in South Asia. She has also worked as a Research Consultant with NIDM and GEAG in the project-Scaling up Sub-National Climate and Disaster Smart Development in India. Rajendra Kumar Sharma holds a Bachelor of Commerce degree from Rajasthan University. He graduated in 1991 and went on to do his 3 year Articleship with the CA firm Single Matta & Co. He has extensive experience of more than 18 years in the developmental sector. He has previously served as the Associate Operations Manager – Accounts & Finance at Udyogini, helping poor women in remote and backward areas build micro-enterprises and become entrepreneurs. Rajendra Kumar Sharma is currently the Accountant at GCNI.